Take a four, or better yet, a six-piece nugget from Wendy’s (with BBQ sauce) and the idea of an inspirational quote. What do you get? If you answered anything but Rowan field hockey’s Rachel Galante, you’d be wrong. In her third year as a Prof, the forward has been one of the most dynamic offensive players on the team, tallying 22 goals and 15 assists in 43 total games. A New Jersey Athletic Conference Rookie of the Year in 2015, NJAC All-Conference first team recipient last year, and now a NJAC Offensive Player of the Week, Galante has helped lead the brown and gold to a 6-5 record. 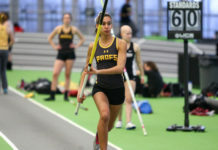 Unfortunately, quite possibly the toughest loss of the season came on Saturday in their first NJAC showing of the year. 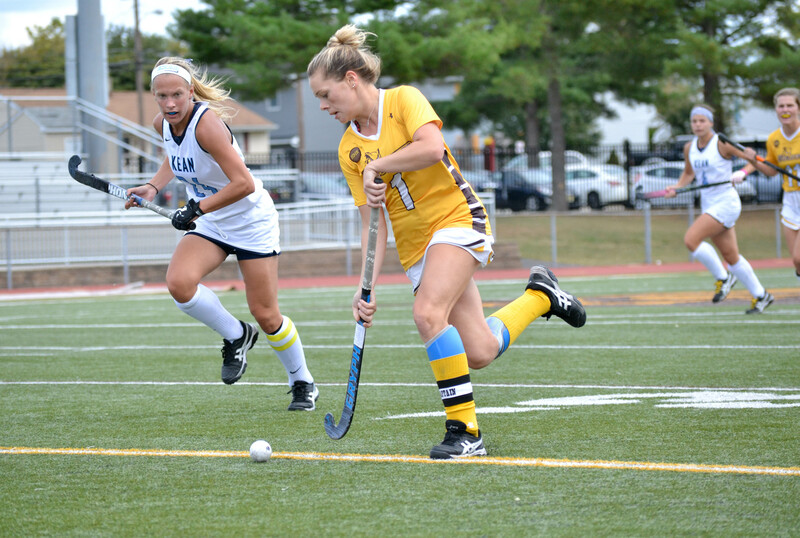 The home loss against Kean University in double-overtime set the team’s winning streak down at five. 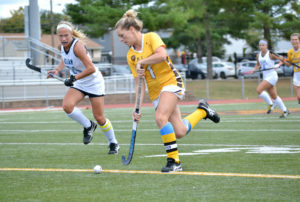 It was a game that took a quick change of momentum, as Galante was able to score two goals at the three and 32-minute mark of the first period, giving Rowan a commanding 2-0 lead at the break. The Cougars were then able to take advantage of a penalty stroke late in the game at the 66-minute mark to cut the Profs’ lead to one. Just three minutes later, they delivered the equalizer, 21 seconds before the game was to end. Both teams only attempted one shot each in the first overtime stanza, but it was Kean scoring off a rebound at the 95th minute in the fourth period to capture the win. Rowan, who average just over 15 shots per-game were only able to attempt seven for the contest, with five being on-goal. Also to note were the 12 saves that goalie Carly DeMarco had in the game, as she averaged a bit over six per-game before the matchup. The Cougars were able to make life hard for the Profs, showcasing why they are now 12-0 on the year. 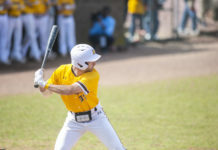 The Profs began a three-game road trip starting against another NJAC team in The College of New Jersey. Unfortunately, another tough loss was delivered to the team, as they were shutout 5-0. The Lions came into the game hot, having two consecutive shoutout victories and eventually added Rowan to the list. TCNJ stands undefeated in the NJAC at 2-0 with Kean, as the brown and gold fall to 0-2 in the conference and 6-5 overall. Rowan travels to Ramapo for a 4 p.m. match on Saturday.